Mark your calendars…this July 5-8, 2012, the BC Food Systems Network will be hosting their annual gathering at Camp Fircom on Gambier Island (just outside Vancouver, British Columbia). The focus of this annual gathering will be policy and practice. 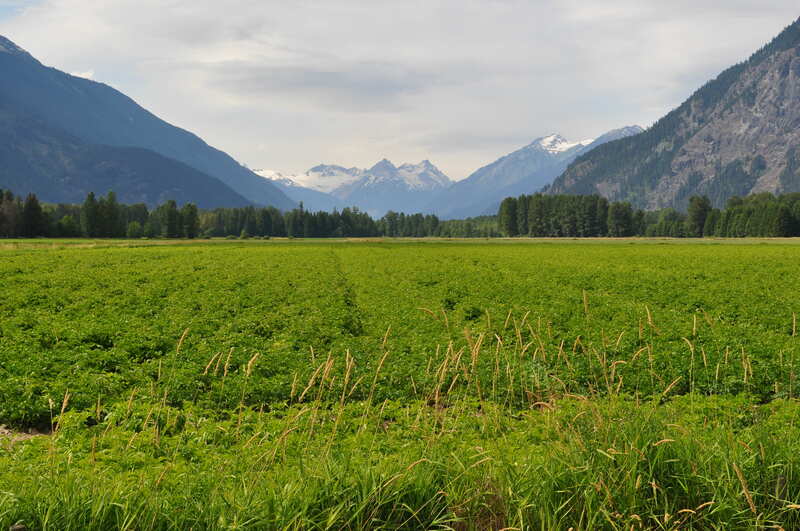 From workshops and presentations, to a wide range of structured and unstructured activities, the gathering aims to bring people together from across British Columbia, and beyond, to share and learn from one another about how to create healthy, more sustainable food systems. This entry was posted in Food Systems and tagged conference, food access, food security, sustainability, urban agriculture on May 11, 2012 by kimhodgson. Historically in the United States, discussions about urban agriculture have focused primarily on private gardens and community gardens. Today, urban agriculture is much more than private gardens and community gardens, and many communities are beginning to see the promise of other forms of urban agriculture. In addition to producing fruits and vegetables for home consumption, the definition and vision of urban agriculture is expanding to include not only growing plants and raising animals for consumption, but also the processing, distribution, marketing and sale of food products and food by-products, such as compost. 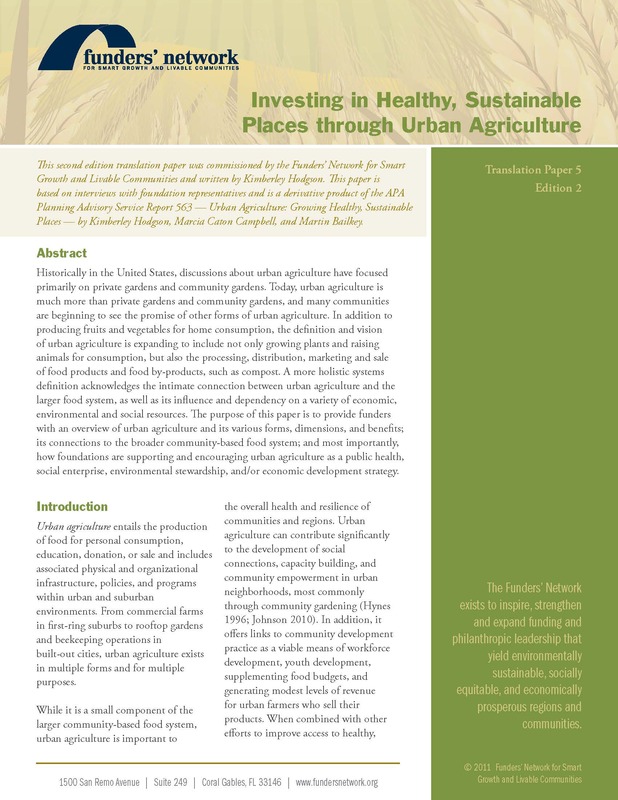 A more holistic systems definition acknowledges the intimate connection between urban agriculture and the larger food system, as well as its influence and dependency on a variety of economic, environmental and social resources. 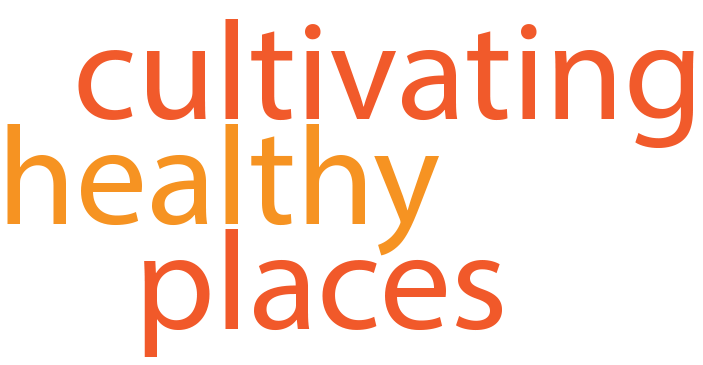 This new report (authored by Cultivating Healthy Places‘ founder, Kimberley Hodgson, and published by the Funders’ Network for Smart Growth and Livable Communities) explores how foundations are supporting and encouraging urban agriculture as a public health, social enterprise, environmental stewardship, and/or economic development strategy. For the full report, click here. This entry was posted in Community Health, Food Systems, Social Equity and tagged food access, philanthropy, public health, sustainability, urban agriculture on February 6, 2012 by kimhodgson.